A Heart Healthy Diet is a Well Rounded Diet! Heart health plays a critical role in how well people function throughout their lives. Research presented at the American Stroke Association’s International Stroke Conference in 2015 revealed that even if you have never experienced a stroke or heart attack, cardiovascular health can have an impact on the normal activities of daily life. The primary risk factors for heart disease includes smoking, blood pressure, uncontrolled blood glucose, weight, physical activity, total cholesterol and diet. Eating a heart healthy diet is a good start to improving cardiovascular health. The primary concerns of having an unhealthy heart condition is its effect on mortality rate. Data from the Centers for Disease Control indicate that heart disease is responsible for a total of 610,000 deaths each year. Although the effects of heart disease can be debilitating, staying active and eating a heart healthy diet can help to reduce risks. Planned meals. Taking the time to create a meal plan is one way to ensure that the food choices you make are healthy for your heart. Planning ahead can also help you to make better choices when you dining out. Include a variety of healthy foods into your diet to keep meal times interesting. Prepare a shopping list. Going to the store with a shopping list of healthy options can minimize the temptation to purchase unhealthy foods. Also, keeping your cupboards and refrigerator stock with low calorie, low sodium foods is the easiest way to ensure that you are consistently eating a heart healthy diet. Plant based foods such as fresh or frozen fruits, vegetables, whole grains, beans, nuts and seeds. There are a range of foods in this category to choose from. They are also high in nutrients and fiber and are noted for their ability to help prevent heart disease. Choose a good source of protein such as lean meat. Certain fish that are high in omega-3 fatty acids such as salmon, tuna, and mackerel are a good choice for protein. The American Heart Association recommends two servings of fish per week that are rich in omega-3s to reduce the risk of heart disease and stroke. Reduce salt or high sodium foods. Packaged foods typically have a high sodium content. Keep in mind that ordinary table salt contains at least 40% sodium. Make a note of the amount of sodium you ingest on a daily basis and ask your doctor how much is the daily salt limit for you. As part of maintaining a healthy cardiovascular system, your doctor may suggest that you adopt a heart-healthy diet. 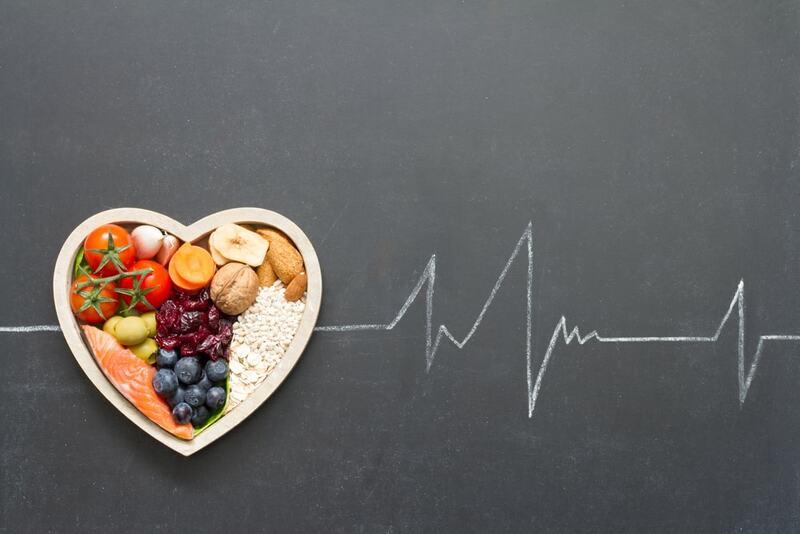 If you need help designing a heart disease prevention diet that is right for you based on your current health and eating habits Talk to your medical team or a nutritionist.